Because I enjoyed creating the tag for TA's challenge (Click here to see original blog post), I decided to make another one. I used a different color scheme. 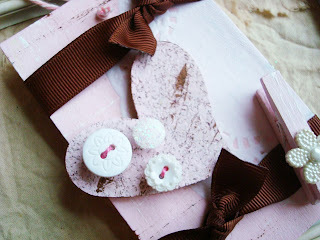 Light pink & brown are a popular color combo & they look just lovely together - Don't you agree? February Specials Coming To An End! There are only two days left for Pin & Tack's February Specials! Take advantage today of these wonderful savings by clicking here to go to the shop. This piece was created for Tuesday Alchemy's weekly challenge (Click here to join in the fun.) 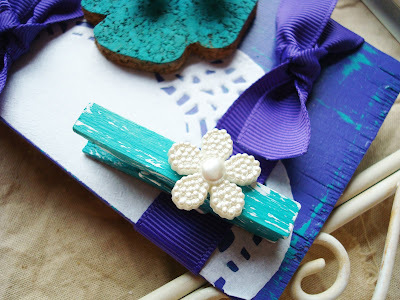 It is made up of purples, teal & white - a splendid color combination! This door knob decor is a "collage" of various elements. It hosts a mini corkboard with handmade tacks. The mini clothes pin is completely functional as well! Fresh, gentle & just lovely! 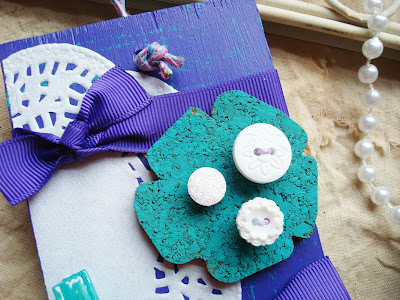 Pin & Tack was featured among these lovely creations made with soft purples & creamy whites. Oh, how I long for spring! These delicate colors are just sweet - Enjoy! 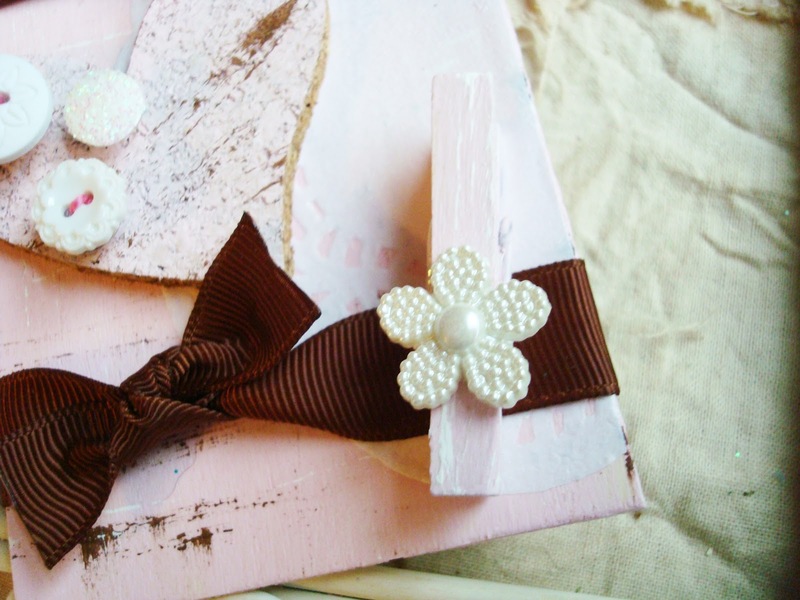 Check out Pin & Tack for temporary discounts on a variety of handcrafted delights! Click here to visit the shop. I created this paperweight for Tuesday Alchemy's Challenge #2 - The Beauty Of Nature. I covered a found rock with dried moss & topped it with vintage wood mushrooms. It's my piece of whimsical nature - Enjoy! The Moonglade Garden featured on Heartsy! My supply shop, The Moonglade Garden, is featured on Heartsy! Purchase a $14 voucher & receive $30 of store credit for The Moonglade Garden - How FABULOUS is that? VIP members get an even better deal! What is Heartsy? They promote shops of handmade goods by offering their customers discounts through purchasing vouchers. 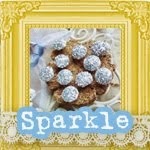 Click here to join this wonderful place & get a voucher to my shop. Tuesday Alchemy is a new, exciting way to join in the fun of creating. 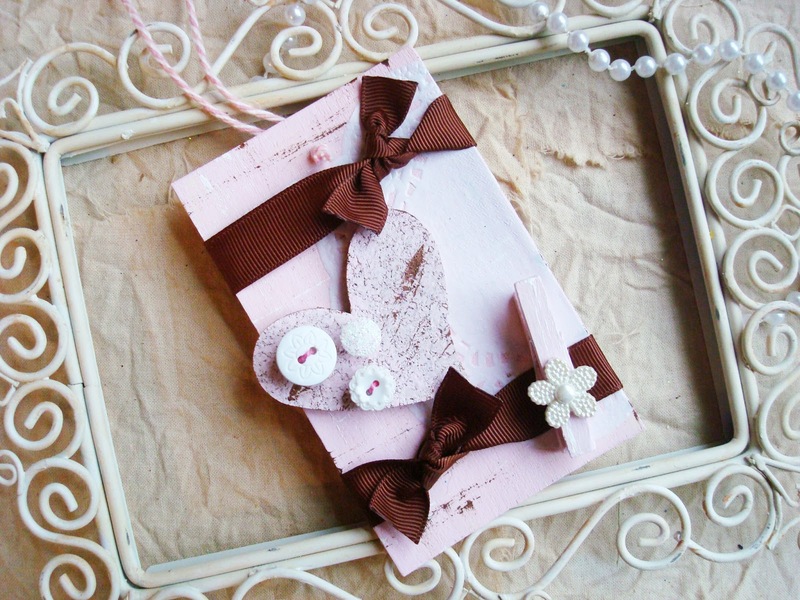 Challenge yourself, promote handmade & inspire others by participating in weekly challenges. If you enter into this week's challenge, send me a message & receive an exclusive coupon for 25% off your entire order at this shop! 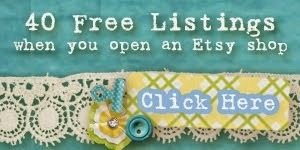 SAVE on listed & custom orders! Use Coupon Code: TREASURE at checkout to receive 10% off your purchases at Pin & Tack! This coupon can be used on custom orders as well - a rare special! To receive discount, code MUST be used at checkout. It will not be applied after the fact. Buy # Get # listings and shipping are not eligible for discount. This sale ends on Monday, February 13th at 11:59 p.m. Click here to start shopping. 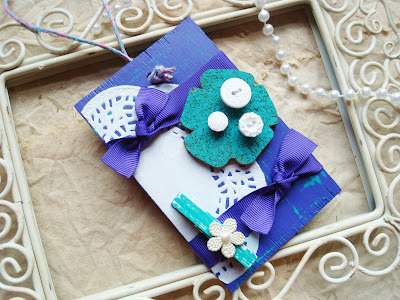 I am starting a new craft challenge blog & I would love for you to join in the fun! Tuesday Alchemy is about inspiring & challenging creativity along with promoting handmade arts & crafts. 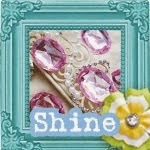 It would be a fantastic way to build your online presence, promote your shop & become a part of a crafting community. The first challenge will be posted on February 14th, which will give you plenty of time to get involved. If you are interested, please let me know by sending me an email at tuesdayalchemy@artlover.com & I will give you the first challenge, so you can create a piece that will be a featured example to inspire others to create. You will be a featured artist for the first challenge.